Make your house smell like fall for just a few cents! This is a wonderful little thing I do on the weekends. This time of the year I love the smell of fresh apples cooking or cinnamon and nutmeg. It is a great autumn smell. You can make your entire home smell like you have been slaving over apple pies all day. 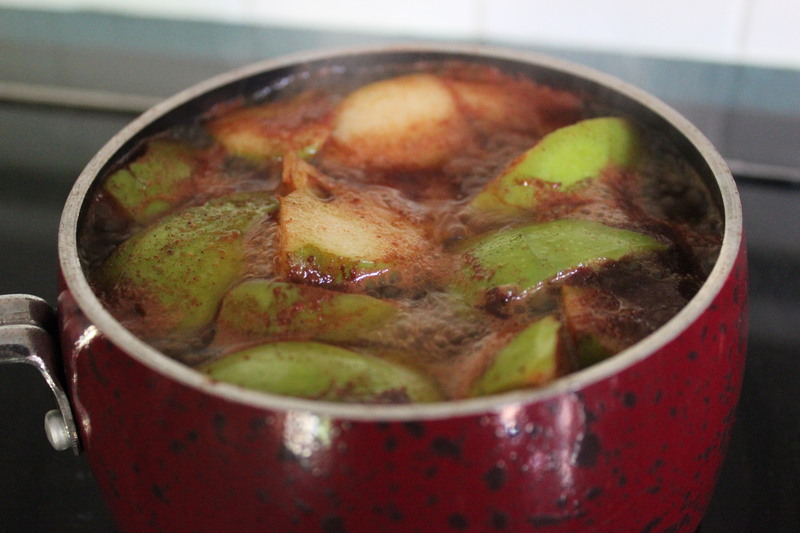 Just fill a small pan with water, add 3 tablespoons of vanilla extract (use the fake stuff) cut up two apples and sprinkle in a healthy dose of cinnamon and nutmeg, bring to a boil and immediately down to a simmer, it will continue to cook and the smell is to die for. Keep watch on the water level as it evaporates so you don’t end up with a burnt mess. Thought I would share this. Have a great one everybody.